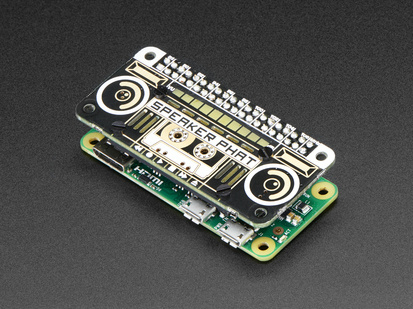 Our pirate friends at Pimoroni have taken the I2S mono DAC and amplifier that they used on Speaker pHAT and Picade HAT and added a second one for stereo goodness. 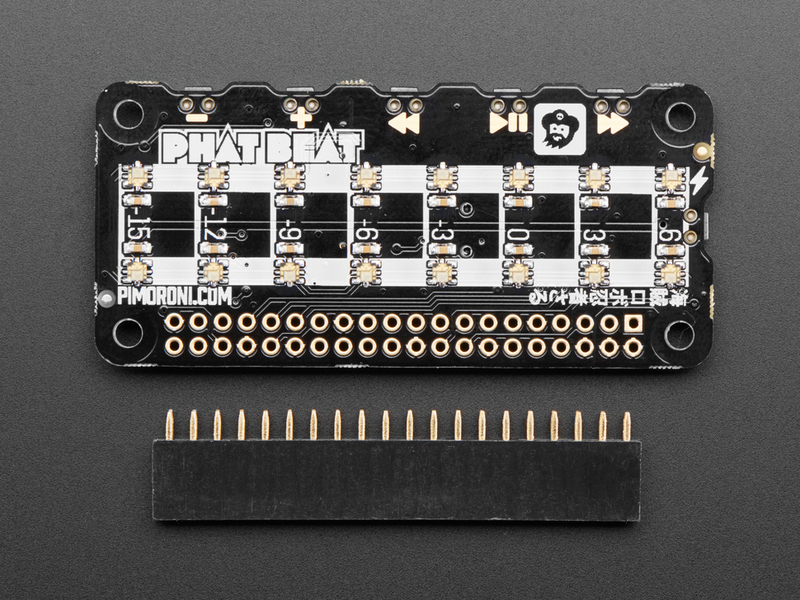 pHAT BEAT gives you high-quality, digital, amplified, stereo audio and 16 beautiful little RGB LEDs, in two rows of 8, that are ideal as a VU meter, and 6 buttons to control your audio. 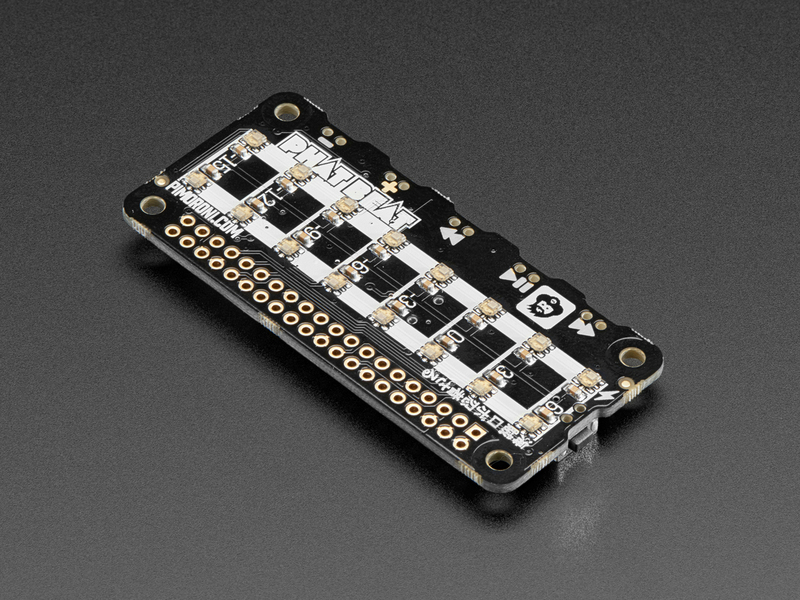 There's a nifty little DIP switch on the bottom of the board that lets you select either mono (left and right are blended through both channels) or stereo playback. 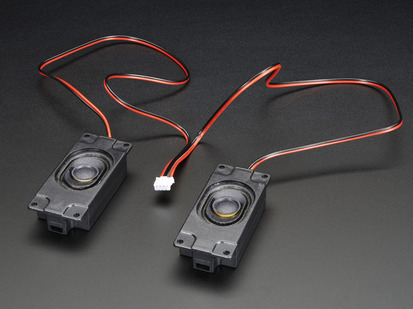 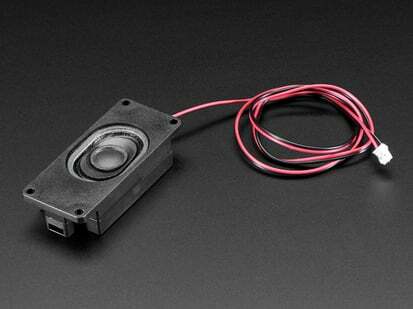 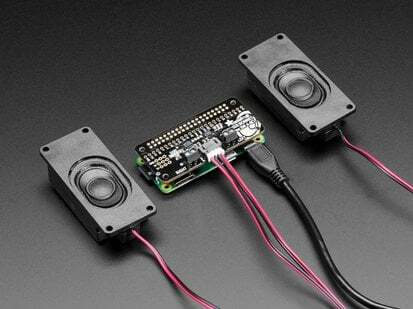 The clip-in terminals make it super-simple to wire in your speakers. The two rows of 8 APA102 RGB LEDs make the perfect VU meter, but can be coded to do whatever you wish, like displaying the steps on a step sequencer Drum HAT or Piano HAT, or just pulsing in time with the beat. 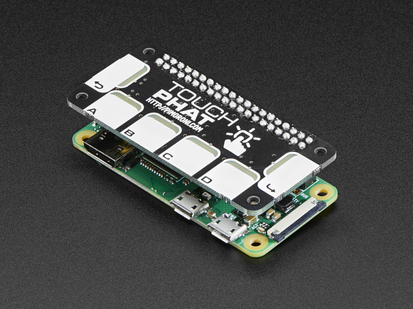 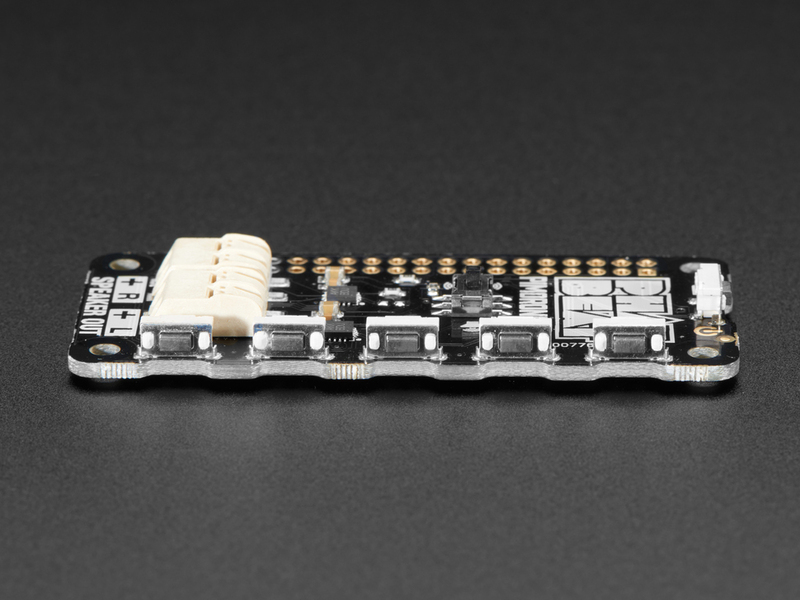 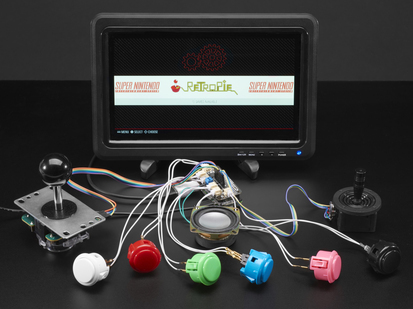 The six buttons on the edges of pHAT BEAT are linked direct to GPIO, and can be used for whatever you wish, although Pimoroni suggests some uses on the board, like rewind, play/pause, fast-forward, volume up and down, and power. 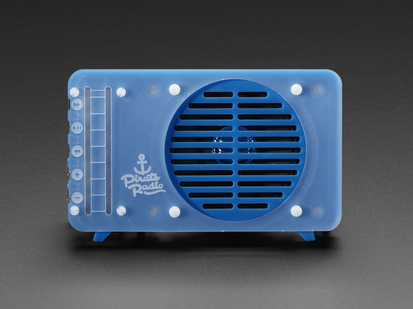 Use pHAT BEAT to create a gorgeous little radio for your desk, to stream music from iPhone with Airplay, or turn it into a collaborative Slack-controlled Spotify player for your office! 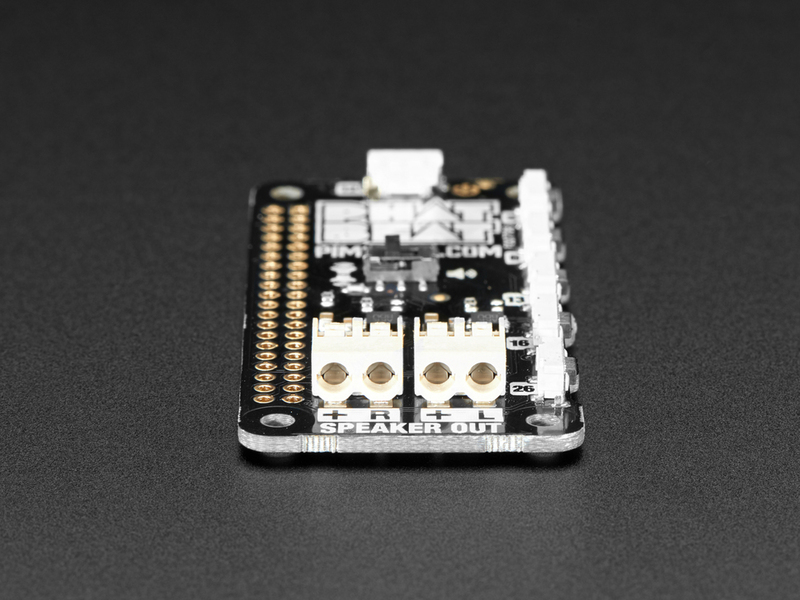 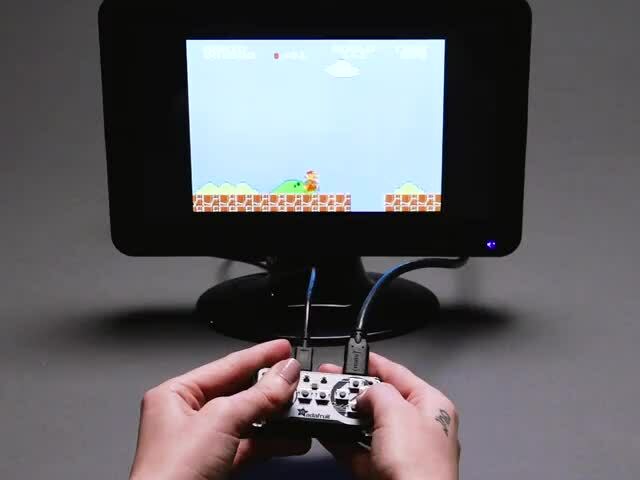 You also might recognize pHAT BEAT from Pimoroni's Pirate Radio Project Kit. 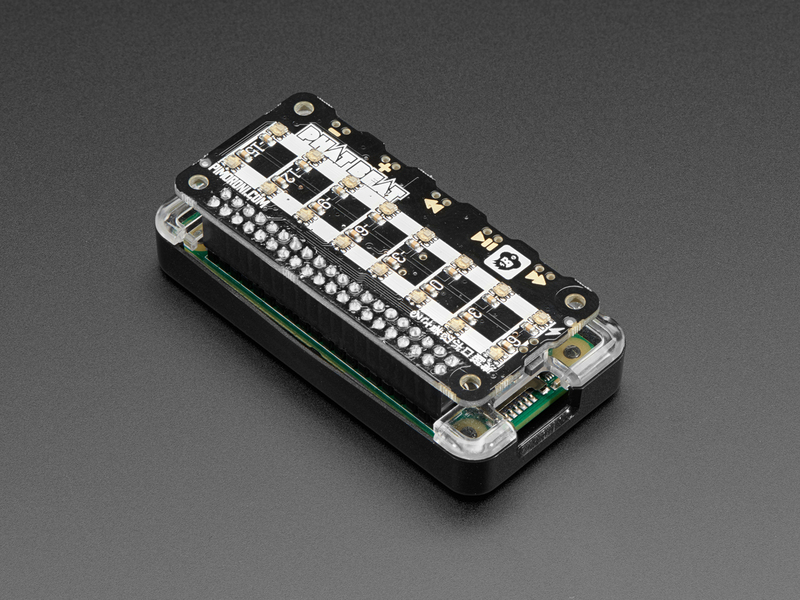 Note: Pi zero and case are not included! 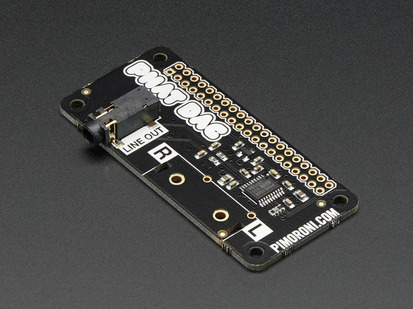 Software: Pimoroni has created a nifty one-line installer to get your pHAT BEAT set up in the blink of an eye. 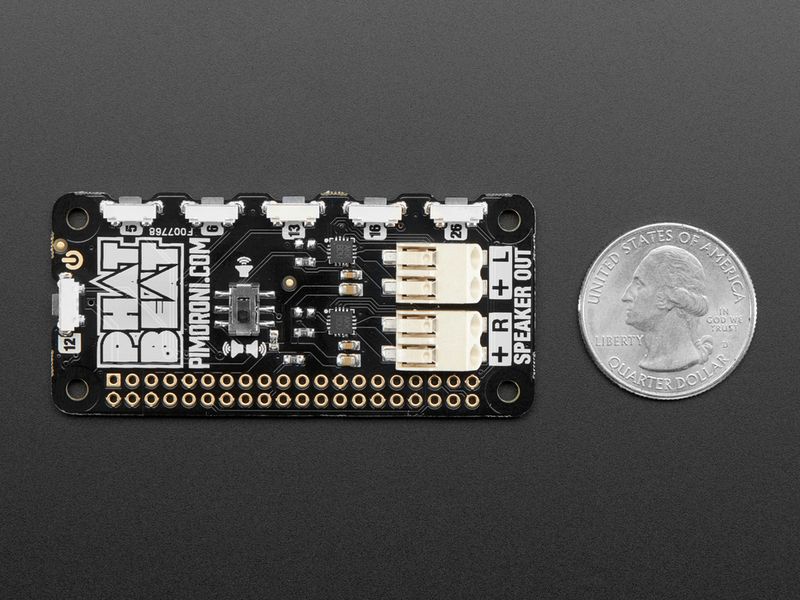 It'll reconfigure your ALSA audio to route it out through pHAT BEAT and install our VU meter plugin to display the volume levels in real time (although you can disable this and code the LEDs yourself). 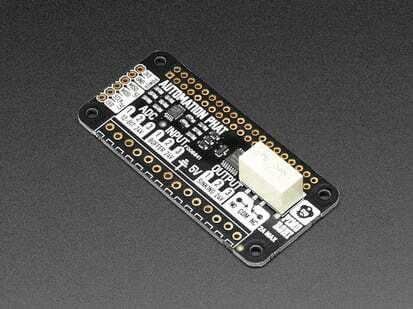 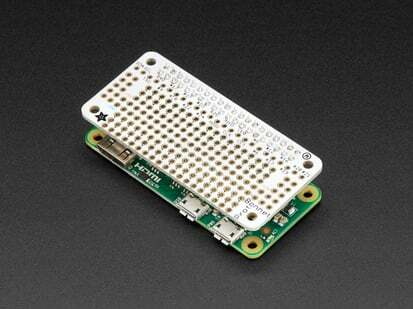 Product Dimensions: 65.2mm x 30.0mm x 6.2mm / 2.6" x 1.2" x 0.2"